Today I got the chance to check out the iPad gameOffice Rumble by PNIX Games, an action packed fighting title for the iPad. It didn’t take long before I knew this was going to be a fun ride, knowing that the app likes to promote itself as a way to vent in our busy, daily lives. And that is exactly what you get in Office Rumble. Right off the bat you are launched in the story mode of the game, progressing through the first levels rather quickly. This is on the contrary of the tutorial, which drags on for at least half an hour before you are left to undertake things in the game yourself. This isn’t necessarily a bad thing, though, as there is just so much to do in Office Rumble. 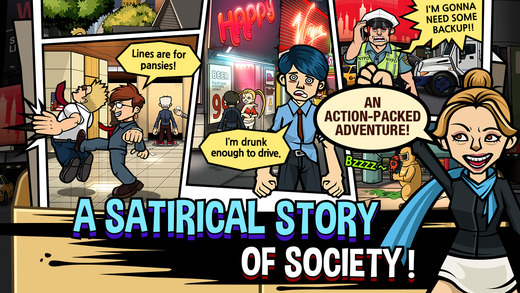 The core mechanics are pretty simple, pitching you against the most obvious (and annoying for that matter) stereotypes of society in the form of street fights. You will find yourself fighting off hysterical Jesus freaks, complete with added voice acting screaming “Let’s pray the gay away!” or obnoxious, rich daddy girls trying to slap you with their smartphone. You press the left side of the screen to defend yourself against incoming attacks while the right side of the screen can be tapped to attack. Actually just holding down the right side will result in a constant flurry of attacks eventually triggering combos and extra damage. Skills can be bought and upgraded if you have found the corresponding skill books as there is even loot in the game. Loot will differ depending on multiple factors including difficulty ranking that you can adjust yourself later in the game. I have to admit that only defending, attacking and using a skill from time to time gets old rather quickly. That’s why PNIX Games made sure to add a ton of extra, interesting features to make the game both stand out and keep up a lasting appeal. You can build your own team with employees found throughout the way or use unlocked employees to upgrade one of your other characters. There’s an equipment section complete with a kind of RPG-like crafting section and later in the game you unlock a ton of online multiplayer options. The longer you play the more you comprehend how much effort was put into this game. 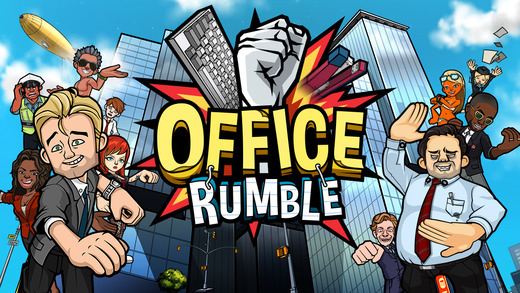 Office Rumble is immediately appealing with its colorful graphics, great soundtrack and versatile and well done voice acting. The whole world seems alive although you spend lots of time just in an office room upgrading your team and working out your equipment. 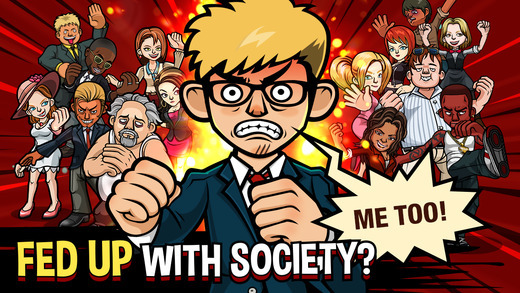 I love the concept and the game had me chuckle good a few times, resulting in even more pleasure punching the most annoying or lazy types of our society. 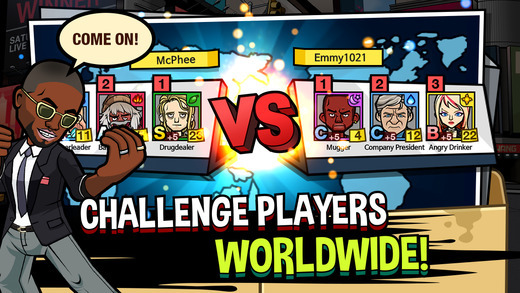 The story mode does get old quite fast, though, and the lasting appeal on Office Rumble has more to do with strategy and planning and less with the action it so promotes. You can always set your team on auto pilot, meaning that they will fight automatically for you which for me ruined a big part of the fun of story mode. It does get better later on in the game with all the unlockables, extra challenges and online functionality as you expand your team. Even just for the laughs you should check this game out but I’m sure you’ll stick around much longer as Office Rumble has deserved the praise I’m giving it and has done everything to keep it from getting stale too fast.